Samsung Galaxy Tab S4 S Pen – GrayThe S Pen is combined with the full touch screen to create a best-in-class mobile input experience. It is the most advanced pen input technology featuring an array of functions including pressure sensitivity, preciseness, speed and more. 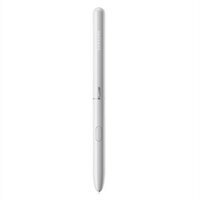 With the S Pen, you can easily sketch drawings or write notes with increased accuracy and ease. Also, the S Pen functionality is deeply integrated into the GALAXY Note's native applications to provide a richer interactive experience. You can easily personalize photos and videos using the advanced S Pen. You can scribble in personalized notes and drawings on your memories of precious moments such as family outings, a baby's first walk and many more.